When should I run We Are Writers? You can run We Are Writers at any time during the school year. It can be used as a great way to fundraise for your school, motivate and inspire children to write, earn free books and resources or to celebrate a special event. The unique books make a fantastic stocking filler for Christmas, a fun project for World Book Day in March and a delightful keepsake for school leavers at the end of the academic year. We Are Writers can also be run as part of a Scholastic Book Fair. It can add a real buzz to your event as parents can place orders for their child’s book at the Book Fair – and your school will earn Scholastic Rewards on any books sold. I am running a We Are Writers book without a Book Fair – how can it work for me? We Are Writers is a great way to raise funds for your school. 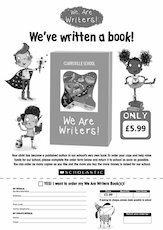 The set price of a We Are Writers book is £5.99, however we recommend you sell the book at a higher price, for example £7.99, and use it to fundraise for your school. Alternatively you can use We Are Writers to inspire and motivate children to write or to celebrate a special occasion in your school for example, an end of year assembly for parents. Please note that if you wish to create a book for your Book Fair, you will need to arrange your Book Fair dates before starting your We Are Writers book. We will charge you £5.99 for each We Are Writers book that you order, subject to a minimum order of 50 books. You may sell the books at any price you choose – for example, charging £7.99 and making a profit of £2.00 per book sold – but only if you are running We Are Writers as a standalone project, not in conjunction with your Book Fair. You will also earn 20% back in Scholastic Rewards (on the £5.99 portion only) on your order to spend on free books and resources in the Scholastic Shop. Alternatively, you can run your We Are Writers project with a Scholastic Book Fair and earn 60% back in Scholastic Rewards on your total takings – including children’s books and We Are Writers books. 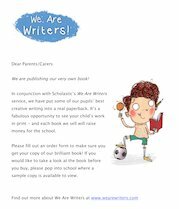 Please note that there is no charge for setting up a We Are Writers book or ordering a sample copy. Is We Are Writers suitable for all age groups? Children of any age can take part in We Are Writers. It is particularly suitable for children who are old enough to write their story on a computer themselves as they will be able to interact with the website and insert, edit and check their own stories, a great way to develop computer skills. What should I put in my We Are Writers book? 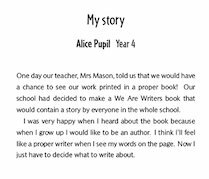 A We Are Writers book is an opportunity to showcase the very best writing that your pupils have produced during the school year. The book can contain stories, poems, letters, scripts, or even recipes. You could choose a particular topic for each year group to write about, or theme the whole book around an event or celebration such as the school’s anniversary or summer fête. If you’re not sure how to get started, why not take a look at some of our free resources? Do not choose obvious words such as your school name, or writing-related terms such as ‘book’ or ‘story’. Replace some letters with numbers, for example using ‘3’ instead or ‘e’ or ‘4’s instead of ‘A’s. Do not publish your password in a public place such as your school website. Whilst a more secure password may be more difficult for children to remember this can be a good opportunity to teach them about security and safety on the web. Do I have to order a minimum number of copies? Yes. You will need to order a minimum of 50 copies in order to print your final books. This applies whether you are producing your book for your Scholastic Book Fair or as a standalone project. You will receive one extra free copy for your school so you don’t need to add that to the total. I’m from an international school – can I still run We Are Writers? Yes! 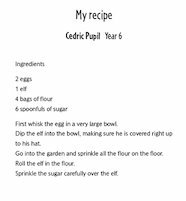 You and your pupils can still make your very own book but some details differ for schools outside of the UK and Ireland. Before you start your book, please email wearewriters@scholastic.co.uk or call +44 1993 893 472 for more information. What is the minimum number of chapters that my book can contain? Your We Are Writers book must contain at least 50 chapters. Please bear in mind that books containing a small number of very long chapters may not sell enough copies to meet our minimum order requirements. The best scenario is usually to have lots of short chapters. How can my pupils add chapters to the book? Once you have set up the book you will need to give the children the book password. They will then be able to log on using the large ‘Children’s login’ button at www.wearewriters.com. Once they have logged on, the children will be able to view all the chapters that have been added to the book so far. They will also be able to add a chapter of their own. Note that they will each need to think of a password for their chapter. As an administrator of the book you do not need to know these passwords as you can edit any part of your book in the Overview section. All chapters must be checked and viewed properly in the downloadable PDF as the work on the edit screen is not necessarily how it will appear in the final printed work. A chapter is a single piece of work. 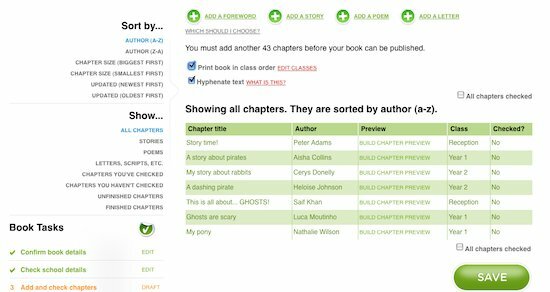 Chapters can be saved in Story, Poem or Other format. When should I choose Story format? Select Story format if you want your chapter to look like a proper short story, or a chapter from a novel. The first line of the second paragraph, and every paragraph after that, is indented. Story format won’t show any extra spaces or blank lines that you have added. 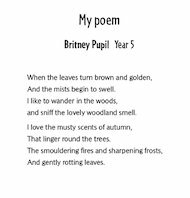 If you would like to add blank lines or extra spaces to your work you should choose Poem or Other format. When should I choose Poem format? When should I choose Other format? If you have added blank lines to your work, or spaces at the beginning of some of the lines, you should choose Other format. This format is especially useful for things like scripts, letters, diary entries and recipes. If a chapter looks odd when viewed in the PDF proof, try changing the format from story to poem from poem to other and so on. How big can my book be? Your book must not contain more than 880 pages, including the foreword, introduction and contents pages. If you work for a large school you may need to create more than one book, perhaps divided by year group or house. Please note: If you are a Book Fairs customer you may not produce more than one book per Fair. What does ‘Print book in class order’ mean? You can order the chapters within your We Are Writers book by author name or by class name. If you choose to order chapters by class name they will be further ordered by author name within each class. To order by author name instead, simply deselect the ‘Print book in class order’ box and select the ‘Save’ button. However, in this example the same chapters have been ordered by author name. Note that you can also switch chapter ordering on and off from within the ‘Confirm book details’ screen. Remember that you will need to select the ‘Save’ button to implement any changes that you have made to the screen. Why does my chapter look funny? 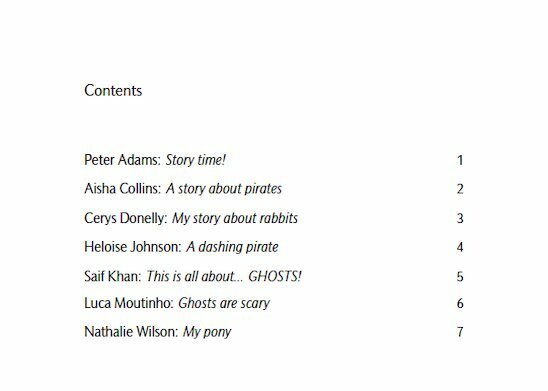 If a chapter looks odd when viewed in the PDF proof, try changing the format from ‘story’ to ‘poem’ from ‘poem’ to ‘other’ and so on. You can find out more about formatting in our What is a ‘chapter’? FAQ. My chapter can’t be published – why? Only chapters that contain a title and some body text will appear in your book. The chapters that can’t be published can be found by scrolling to the bottom of the Overview section. A brief description of why it can’t be published will be shown. When you start a new book, hyphenation will automatically be set to ‘on’ and long words that run over onto a second line will be hyphenated. If you would prefer words at the end of lines to be pushed onto a new line rather than being split by a hyphen, then you can go to Step 1 ‘Confirm book details’ and set hyphenation to ‘off’. How can I make the process easier? You can invite colleagues to help from the Overview page. In the top right of the screen, click on the link ‘Invite colleagues to help with your book’. This will allow helpers to access the We Are Writers book and share the workload! We Are Writers is particularly suitable for children who are old enough to write their story on a computer themselves as they will be able to interact with the website and insert, edit and check their own stories. This is a great way to develop computer skills and to spread some of the effort. Can I add pictures inside the books? No, but this is something we’re looking into. Help! I can’t see my school’s book! You must log in using the email address and account password of the person who set up the book. A We Are Writers book is registered against the Scholastic account of the person who set up the book. If you log in using your personal account details you will only be able to access books that you have set up yourself, not books set up by any other staff at your school. How can I add my own image to the cover? Firstly, you need to choose a good quality image. You could choose a specially created artwork by one of your pupils, a class or school photograph, your school logo, in fact any image that you think would make a striking cover. it has a file size of no more than 10 MB. Next, save the image to your desktop. Choose the ‘Upload a cover image’ option from the Overview, browse for your cover image and then select the Upload button. A preview of your personalised cover should appear after a minute or two – you may need to refresh your screen to see it. If you are not very confident manipulating images (or with computers generally!) we suggest that you try to recruit an enthusiastic colleague or parent, as creating a cover image will be a quick and easy task for someone with the right skills. Try to obtain the best quality image that you can – if a photograph looks grainy and blurred on your computer screen, the chances are it will look even worse in print! I’m not going to finish the sample book in time for my Book Fair. What should I do? Don’t worry if you run out of time: you can simply choose to sell your Writers book after your Book Fair. In order to receive commission for your book though, you must place your final order before filing the Cash Report for your Fair. If you are not ready in time for your Fair, you may wish to sell the books at your next parent event to maximise the number of people who see – and potentially order – the book. I am a Book Fairs customer – how can We Are Writers work for me? 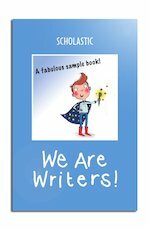 If you are a Scholastic Book Fairs customer, you can create a We Are Writers book to sell at your next Book Fair. You will earn 60% back in Scholastic Rewards on your total takings at the Book Fair – children’s books and We Are Writers books combined. A We Are Writers book can add a real buzz to your Fair – and displaying your We Are Writers book will also help increase the number of people who attend and order a copy. Before you start, make sure you have a Fair booked that is at least 10 weeks away. When you set up your book, select the date of your Fair as the sample delivery date. Order your final books before you complete your online Cash Report Form to ensure that you earn the correct amount of Scholastic Rewards. If you would like more information on how We Are Writers can work with a Scholastic Book Fair, call the Book Fairs team on 0800 212 281. I don’t like how my school name appears on the front cover – what can I do? On the book’s front cover, if your school name appears on two lines but you don’t like how the words are split, you can change how the name will appear. To achieve this you need to add the ~ symbol (called a ‘tilde’, which can be found by pressing SHIFT and the # key) in between each word you’d like to move down a line instead of a space. So in the School name field in Step 2, School Details, type Grange Hill School for~Girls in and it will appear as in the second example above. Can I see what my sample or final book will look like? Yes. In the Overview page, you will see a link on the right side of the screen saying ‘Download your PDF book’. Clicking on this will open a PDF of what your book currently looks like. Please note that if you make changes to the chapters, it will take at least 1 minute to update these changes to the PDF. Alternatively you can click on point 7, ‘Check my book’, which can be found in the menu on the left side of the screen. Saving a text file as PDF preserves all the formatting and layouts that were created by the program used to generate the original file. PDF files appear the same whichever type of computer they are viewed on. The PDF proof of your book shows exactly how the text will appear in your final book. This is why you should download the proof and check it before you publish your book. PDF stands for Portable Document Format. To view PDF files you will need to download Acrobat Reader software from www.adobe.com. How do I order my final copies? First hand out our free parent order forms. You may also wish to send out copies of our standard letter to parents – you can download the letter from the overview page for your book. Once you have collected in all the orders and payments, go to Step 9 of our list of Book Tasks and enter the quantity of books you require in the appropriate box. How many sample copies will I receive? You will receive one sample copy approximately 10 working days after you place your first order. Once you have read the book and shown it to parents, you will have a chance to make any corrections that are needed. You will then be able to place a final order for the number of final books required by parents, carers and the school. School holidays are coming up – should I order my book? You should make sure that any order is placed at least 12 working days before school holidays so that there is no chance of the school being closed when your parcel arrives. Yes you can order more copies, but you must place a minimum order of 30 copies. If you wish to reorder, you will have to call us and this can be arranged separately. 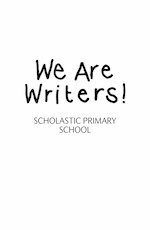 If you ran We Are Writers as part of a Scholastic Book Fair please contact us on 0800 212 281. If you ran We Are Writers as a way to fundraise or celebrate a special event please contact us on 0845 803 9600. Are there more colours I can choose for my book cover? Yes! We offer 28 different colour options for your cover. Choose from an array of vibrant oranges, browns, pinks, purples, blues, greens and greys plus yellow, red and black. Just start your book and you’ll be able to try out the different colour options! I’ve done a We Are Writers book before – is there anything new that I need to know about? You can now choose from 28 brand new colours for your book cover to make it truly unique – significantly more choice than the previous 5 options. Julia Donaldson, Children’s Laureate 2011-2013, has provided an inspiring introduction that will feature in all We Are Writers books until end-July 2013. Read it here. 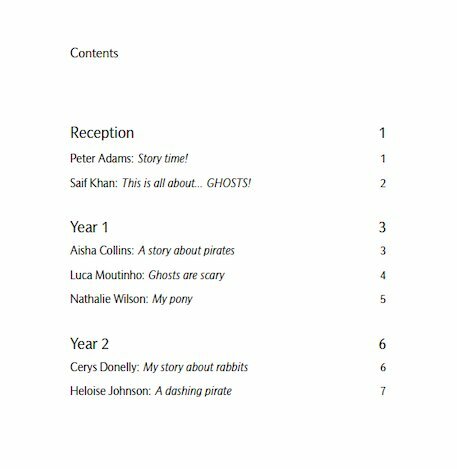 There are more free resources to choose from including curriculum grids to build We Are Writers into your class literacy plans, more story starters and a certificate that can be presented to newly-published authors alongside the finished books. We’re constantly working to upgrade and improve our website and make the process as simple as possible. Other recent additions include the opportunity to switch hyphenation on or off (which can be found in Overview), the ability for children to preview their own chapters and a more useful, updated Help section. Customers should also be aware that the minimum order is now 50 copies, the maximum page extent is 740 pages and the price now £5.99 per book. Help – my question has not been answered! If you’re running We Are Writers with your Book Fair, then call 0800 212 281 to speak to your Book Fair Co-ordinator. Can I spell check my work? Yes. Use your web browser spell-checking solutions and right-click in the area where you are adding text. You will be able to choose spell-check options, including word choices. Some web browsers may automatically underline words it thinks are misspelled. Can I use World Book Day £1 vouchers on We Are Writers books at my Scholastic Book Fair? Yes. If you are running We Are Writers with your Scholastic Book Fair, children are permitted to use the £1 World Book Day vouchers on purchases. There is a limit of one voucher per book and all vouchers must be valid. If in any doubt, please call Customer Services on 0800 212 281 or email bookfairs@scholastic.co.uk.